Most of us love smelling good. We delight in slathering our skin with fruity lotions and washing our hair with tropical scented shampoos. Unfortunately, the very fragrances that titillate our noses and earn us all those compliments are actually chemical cocktails that are all too often toxic to our bodies and to the environment. Fragrance is ubiquitous on the ingredient lists of most personal care products. I challenge you to find a product in your home right now that doesn't contain fragrance. So what exactly goes into creating a synthetic fragrance? When you see the word fragrance on a label it can literally mean anywhere between 10 to 300 different chemicals are included in the formulation. In our unregulated beauty landscape, companies are not required to list anything in their “fragrance” mixture. 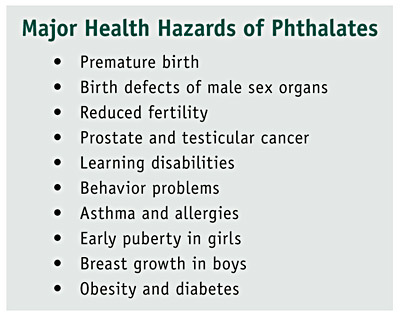 Common synthetic fragrances contain hormone disruptors such as phthalates, which have been linked to an increased risk of breast cancer and reproductive problems like early puberty, and the feminization of baby boys. So what exactly is a "hormone disruptor" and how does my kiwi mango body wash have anything to do with sperm counts? Well, the answer lies within your endocrine system. The endocrine system regulates your body's hormones and its normal functioning can be disrupted by certain chemicals common in our modern day environment. Endocrine disrupting chemicals, such as those found in fragrance, can interfere with hormone signaling and cause your body to produce irregular levels of hormones. For example, abnormal amounts of the hormone estrogen in a woman can result in breast cancer and too much estrogen in a man can result in lower sperm counts and infertility. Endocrine disrupting chemicals are especially dangerous to developing fetuses and have been linked to birth defects, chronic childhood diseases and developmental disorders. "Over the past 60 years, through technological advances a growing number of synthetic chemicals have been used in the production of almost everything we purchase. They have become a part of our indoor environment, found in cosmetics, cleaning compounds, baby and children’s toys, food storage containers, furniture and carpets, computers, phones, and appliances.We encounter them as plastics and resins every day in our cars, trucks, planes, trains, sporting goods, outdoor equipment, medical equipment, dental sealants, and pharmaceuticals. Without fire retardants we would not be using our computers or lighting our homes. Instead of steel and wood, plastics and resins are now being used to build homes and offices, schools, etc. A large portion of pesticides are endocrine disruptors. What this constant everyday low-dose exposure means in terms of public health is just beginning to be explored by the academic community." Scientists still have their work cut out for them when it comes to studying the exact effects endocrine disrupting chemicals have on the human body. 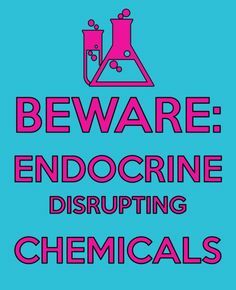 Here at Beauty Lies Truth we strongly believe that until we know more about the dangers of these chemicals, the FDA and companies formulating with possible endocrine disruptors should take the responsible route and remove them from products. Fortunately for us there are already several brands using natural fragrance instead of synthetic chemical cocktails. Whenever possible choose products containing naturally derived fragrances or opt for unscented or fragrance-free alternatives. As usual if you have any questions about the toxicity of an ingredient in a certain product be sure to look it up in the Environmental Working Group's Skin Deep Database. If you'd like to read more about the science of endocrine disruption I encourage you to visit the The Endocrine Disruption Exchange and watch this eye-opening TED talk given by Penelope Jagessar Chaffer and Tyrone Hayes.